2. Click on 'Start Fundraising' at the top. 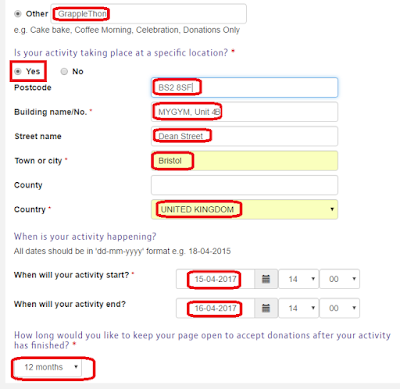 Alternatively go to 'my account', then click on 'Create fundraising page' in the left hand menu. 5. 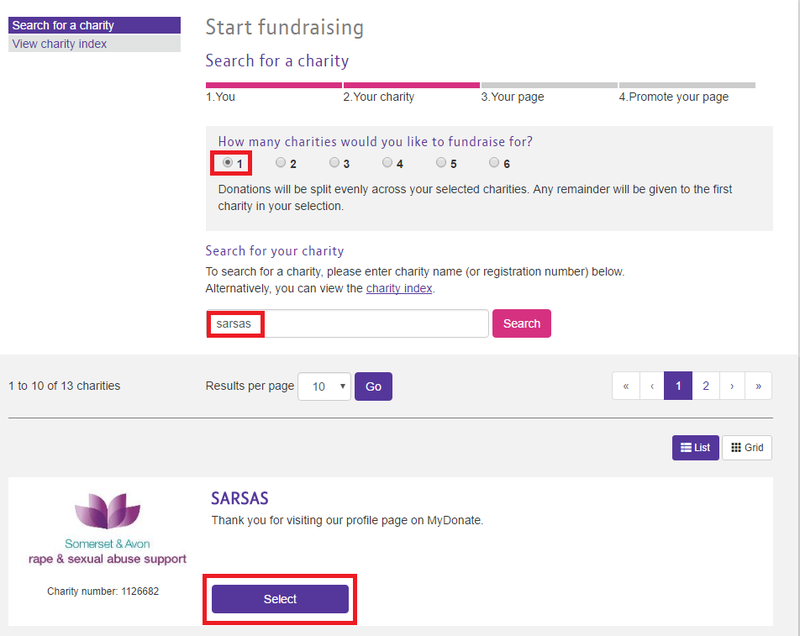 Select 'SARSAS' from the list that pops up, then click through. 8. The next part is important, as this determines how long your page stays open. Put in the date as starting 15-04-2017 from 14:00 through to 16-04-2017 at 14:00. 9. 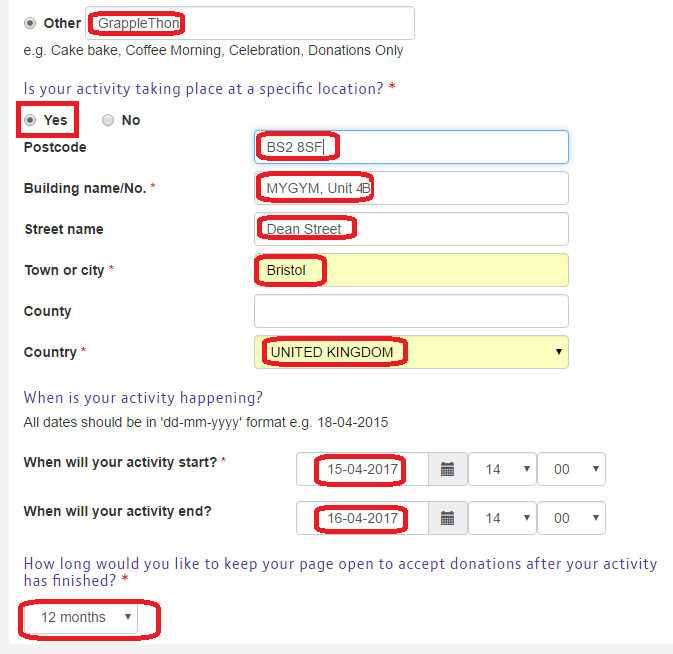 You can pick however long you want for keeping the page running after the event finishes, ranging from 3 months to 12 months. 10. Pick whatever url you want for the fundraising page (note it has to be all lower case), then be sure to link your page to the Artemis BJJ GrappleThon 2017 team: the reference number is 532098561. When you click 'Validate', the name of the team and owner will appear in green. 11. 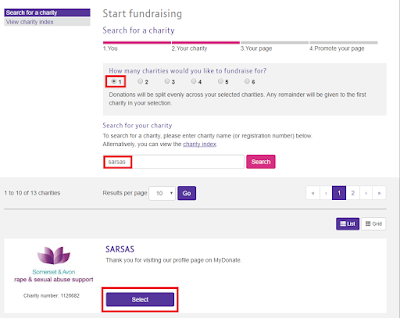 Select 'No' for the two tick boxes under Gift Aid. 12. In the fundraising story, you can write whatever you think will best inspire people to donate to your page. If you're looking for an example, this is what I put. Note that the 'page title' has to be less than 50 characters. 13. Next, pick an image if you like (there's also the option to link to your Flickr and/or a YouTube video). November 22nd will mark Gravity Brazilian Jiu Jitsu’s 3rd Annual 24hr Movember Rollathon, a fundraiser for Prostate cancer research and bringing awareness to men’s health, beginning at 9am. Prostate cancer is one of the most common health issues in men today. Many of us have known someone to have prostate issues due to poor diets or lack of the essential fruits and vegetables. With Jiu-Jitsu being a male dominated sport, we wanted to give back to the community by raising awareness to prevent these types of health issues. 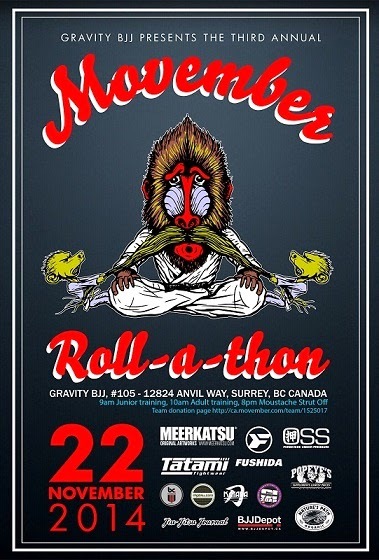 The Rollathon, in which at least 2 people will be sparring in Brazilian Jiu Jitsu (BJJ) for 24hrs, will take place at Gravity BJJ in Surrey BC. Like last year, we will start the morning off with a kids cross training class, followed by the adults at 10am. This year we will be scheduling different black belts throughout the day to teach some techniques. There will be raffle prizes given and a special Moustache Strut Off Competition in the evening at 7pm. Many companies have jumped on board to be sponsors for the event. Our returning sponsors include- Meerkatsu, Oss Gear, Fushida, Gi-Soap, Bacardi, Katana Fightwear, BJJ Depot & Tatami Fightwear. New sponsors to the event are Jiu Jitsu Journals and BC Kimono’s. We are so grateful for the support of these companies! The event is open to all schools and associations. We encourage moustaches, beards, goatees and any other creative facial ingenious to the event. We will also post a link for a livestream closer to the date. Even if you’re not a BJJ practitioner, you are welcome to come down to the community event and get to know the friendly people at Gravity BJJ. Anyone who has been affected by prostate issues, directly or otherwise, is welcome to come to the event and support the cause. We would love to hear from you!! If you would like further information or would like to learn how you can get involved, please contact Sofie Zambas at sofie@gravitybjj.ca or 604-780-5154. The GrappleThon concept continues to grow as 2014 begins to wind down. Since the last event report back in March, the Artemis BJJ GrappleThon supporting Kinergy raised £5,000 in Bristol. There has also been the third iteration of Performance Martial Art's Grapple-A-Thon in Springfield, OR, a 4DA Kids GrappleThon at Centurion BJJ in Panama City, FL. There were also two GrappleThons on the same 16th August weekend: first, the NW High Intensity Training Center event in Olympia, WA, shortly followed by Jodie Bear's GrappleThon in Congleton supporting the Donna Louise Children's Hospice Trust. Jodie and her team have raised an incredible £6,000 so far! There's more Grapplethon action to come this month, with Pura Vida Fighting For Kids on the 31st at Open Mat Fight & Fitness in San Diego, CA. Next month sees a stalwart returning for their second event, with another GrappleThon supporting NVRDC at BETA Academy in Washginton, DC on the 13th of September. On the same day, there will also be a Grapplethon supporting Liam Stark, over at Optimus BJJ in Laguna Niguel, CA (who have also hosted Grapplethons in the past). Finally, Gravity BJJ are into their third Movember Rollathon on the 22nd November up in Surrey, BC. Over the past year Southern California has been a hot spot showcasing great unity in the BJJ Community. 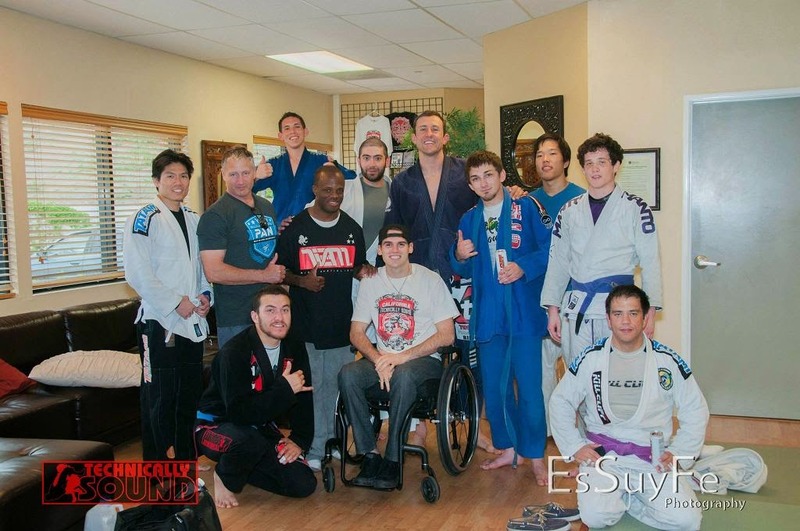 March 22 2014 proved to be no exception as a group of grappling martial artists gathered together in Laguna Niguel, California for another monumental Grapplethon charity event, showing their support for 24 year old BJJ blue belt Dana Moore (who recently sustained a spinal injury that left him paralyzed from the rib-cage down). 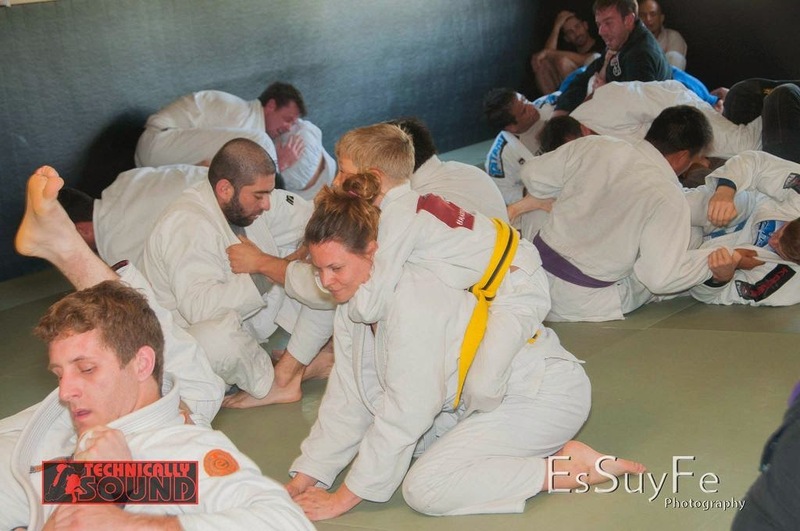 Hosted at Grant Collin’s Optimus Brazilian Jiu-jitsu academy, the event brought together over 60 grapplers throughout Southern California from Atos JJ, Checkmat, Ribiero Jiu-jitsu, Clark Gracie Jiu-jitsu and Tinguinha BJJ, amongst other top jiu-jitsu teams. From start to finish Team Dana Moore didn’t hold anything back! This fun-filled extravaganza included over 3 hours of nonstop training, a 300 Roll Challenge, and almost every participant walking away with a raffle gift. Most importantly, it exposed the camaraderie that exists in the Southern California BJJ community. After generating $2,505 from on-the-day donations, it’s safe to say 'Grapplethon: Team Dana Moore' was a remarkable success. The dynamic presentation and atmosphere displayed on the mats at Optimus BJJ exhibited characteristics of kindness and unification amongst grapplers, showing their support for someone in need. In a fascinating twist, we also learned from Dana’s story of perseverance to aid in our journey through life. Michael Cabrea (Event Participant): I had a fantastic time today! It was great supporting someone in our community! Thanks everyone for the roll. And of course thanks Dana for being such an inspiration! Grant Collins (Owner/Instructor of Optimus BJJ): Hey guys that was awesome! It was so great having so many talented fighters in one house for a good cause. In fact it was so much fun I wanna do it every month! I want to give big gratitude to everybody who came out to support Dana Moore! Dave Gieselman (Event Participant): The best part about this event was the sense of unconditional love and support, no questions asked, in that room. Lynn Fillwber Moore (Dana’s Mother/ Event Spectator): What an amazing BJJ family... We are so touched and honored... THANK YOU Brettimus Weekley, Monta Wiley, Professor Grant Collins, my amazing family Alicia Moore, Lizzie Moore; Pat & Julia Fillweber Foy, Karen and Chris Sabin & munchkins, Steve Pollmann &, Samuel, Megan Foy & Travis, Frank & VeVa Thing, Lindsy Eyler & Cruz, and our awesome friends, Jefe & Caroline Weekley, April Weekley, Brooke & Dave Jakovich, Barry Draskovich, Marilyn Reeves. AND all of the raffle sponsors and donations!!! Just amazing! Brett Weekley (Event Co-Host): I would like to say thank you to everyone for attending the Grapplethon yesterday. It is amazing to see the BJJ community come together to support a friend. Thanks again Grant Collins for opening your doors and being a gracious host for the event. I'd also like to thank Monta Wiley for organizing everything and letting me help him out. It was an honor being a part of the event and I appreciate all of your hard work and diligence in coordinating everything. A huge thank you. Monta Wiley (Event Coordinator): Not gonna lie a little bit in tears right now (good ones btw) after this event for various reasons. I just say thanks everyone and Dana Moore you are without a doubt the real champ in the BJJ world and life. Dana Moore (Event Recipient): Thank you so much to everyone who came out and supported me today! Made a lot of new friends today and it was great to see the familiar faces! I hope everyone had a great time and is injury free! A huge thank you to Monta Wiley, Brettimus Weekley, and Grant Collins! Can't thank you three enough! 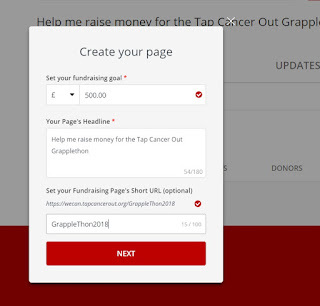 Let just hope this Grapplethon tradition continues making a positive difference in people lives, always aiming for the same goal showing we simply we care. Grapplethon for Haiyan was, in my opinion, one of the most fun things I’ve ever been a part of. The fact that we had over 50 people training at midnight on Friday night says something about how other people felt about it too. It was amazing to see the whole Northwest Grappling Community coming together for a good cause. And we raised over $9,230 after expenses for the victims of the Typhoon, which was donated to the International Red Cross. The impetus for all of this was the fear and frustration that I found myself feeling while waiting for news of my extended family in Tacloban. My wife's family live there, and while most of them managed to check in right away, we didn't end up hearing from one of her cousins and her three small children for almost a week. It hit me that, since the Grappling Community in the PNW is very Filipino, I am probably not the only one who was feeling like that. So, as a result, I decided to see if we could put something together to help, rather than just feel frustrated. Sure enough, people jumped on board, and we ended up having a total blast while raising a gang of money. If you were there, you know. You learned some moves, sparred with some new people, and generally had a blast. There was no drama, politics, or anything negative. Just a bunch of people training and smiling. The biggest challenge I personally ran into was that we ended up using the wrong crowdfunding platform, FundRazr. 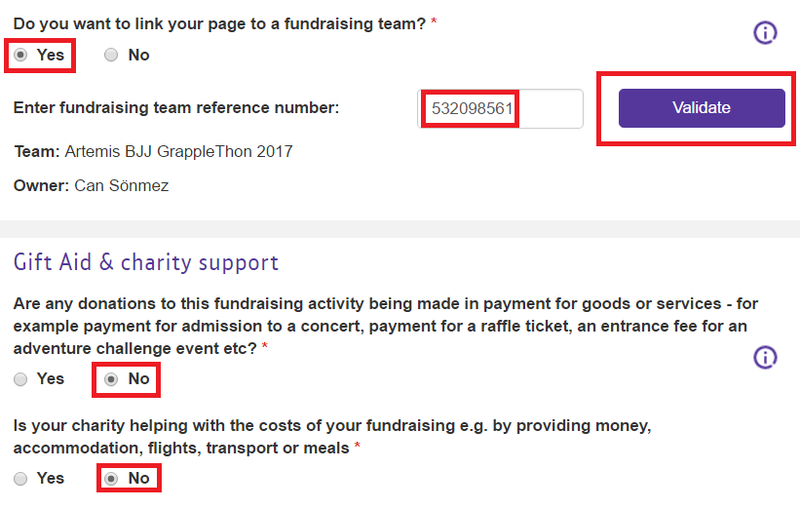 If you are going to donate to a charity overseas, you're really going to want to check and make sure that your platform can handle that. Otherwise, things get messy. You end up paying way too much in commissions and fees as a result. That cost a good chunk of money right there, and ended up being our single largest expense. I think, unless you are way more savvy with the potential tax implications of this kind of thing, you really want to stick to charities based in your own country. But, honestly, if that's the biggest mistake a first timer made on organizing something like this, then we done good. All the folks who shared the hell out of this project. Especially Mr. Tom Callos and The 100 Method, Team Ivan Salaverry, Georgette “The Red Menace” Oden, James Foster, Michelle Lena, Brian Martin, Eric Young, and all the rest. You know who you are. And, an extra special shout out to the homie Dan Dejos and Artlete. This LITERALLY would not have been possible without you. Thanks for the killer designs, the networking, the tough rolls, the 5am Jack in the Box run, and for generally being a great guy. I am proud to have had you on the team for this, and I owe you big time, man. All together, we managed to donate $9230.44 to the Red Cross Typhoon Relief Effort. Good job, folks.